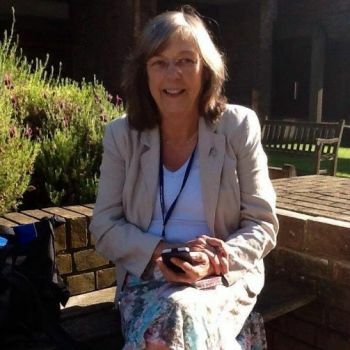 Roberta Williams, Senior Lecturer and Associate Dean in the School of Health Sciences, sad ly passed away in May 2015, shortly after her retirement. 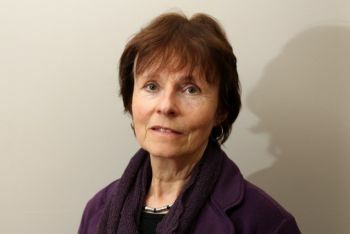 Roberta, a qualified Speech and Language Therapist, joined the University in 1982, as a Lecturer in the Department of Language and Communication Sciences. Her area of specialist clinical expertise was dysfluency (stammering and stuttering) and she continued to support clinical work and teach in this area up until her retirement. This inaugural Memorial Lecture is the first of an annual series to be held in memory of Roberta’s incredible contribution to the School and her work with the students over the thirty-two years she was at City University. Visit the dedicated webpage for the Roberta Williams Memorial Lecture. The Roberta Williams Memorial Lecture is a public event and is open to all. However, we do ask attendees to register online. Rosemarie has over 40 years of clinical, teaching and research experience in the field of stammering. She completed a Masters in Human Communication in 1975 and gained a Diploma in Personal Construct Psychology in 1988. Before moving to Bristol in 1995 she taught on SLT courses in London and Cardiff. A full-time clinical post in Bristol highlighted gaps in expertise with children which led to the Lidcombe Program. A doctorate study of parents’ experiences of the LP was completed in 2008. Publications include book chapters and journal articles and Rosemarie has been a long term advisor for RCSLT and BSA. It is rare to be invited to give a keynote address on ‘your work in the area of stammering’ so the preparation of this presentation has been largely pleasurable. My relationship with Roberta goes back nearly forty years and so the pleasure has been mixed with deep sadness. As in my relationship with Berta I am taking a long view of my clinical, teaching and research work. Over this time there have been many changes and some welcome developments however curiosity is one consistent theme that emerges from the three roles that have intertwined throughout my career. I will present some of the questions that have arisen from clinical work and how, through research, I have sought to answer or better understand them. The presentation will end with a summary of some lessons learnt, of questions that continue to intrigue and disturb and some thoughts regarding future research.